New York.- Dominican-born judge Diccia Pineda-Kirwan won a bench in the New York State Supreme Court, according to preliminary tallies of the recent local elections in the United States. She is the only woman of Latino background of the six competitors for the bench from Queens-the State’s 11th Judicial District, to win the balloting for the 14-year term. 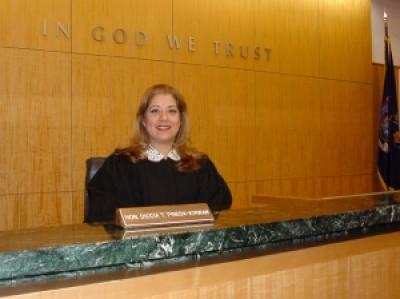 Judge Pineda-Kirwan is currently seated in the New York City civil Court of Queens County. She graduated from the City University of New York (CUNY), Queens County. Her tenure as Principal Law Clerk to Supreme Court Justice William T. Glover during 1999-2002 afforded Ms. Pineda-Kirwan firsthand experience in high-level legal issues, procedure, and protocol. Pineda-Kirwan was born in the town Baitoa, Santiago province, from where she emigrated together with her family in the early 1960s, and has lived in Queens ever since. She was running as a Democrat, and had been a member of the Latino Lawyers Association and Women’s Bar Association of Queens. The final vote count to elect Justices for three vacancies in the Supreme Court’s 11th Judicial District (Queens County) reveals that the judicial candidates of the Democratic Organization handily bested those on the Republican ballot; with Ms. Pineda-Kirwan receiving 113,149 votes to win the honored seat on New York’s highest court.